At first glance, a free conferencing solution may seem enticing. Look below the surface as to how the average conferencing business operates, however, and you are likely to change your mind. The fact is that nothing is ever truly free, and this is especially true when it comes to conferencing technology. Further, the risks of investing in free software could far outweigh any initial cost savings you accrue when registering for conferencing services. Before we examine why you should steer clear of free conferencing services, let’s take a closer look at how these types of businesses work. How does free conferencing work? Most free conference calling services, of course, will offer no upfront charges for their services. This means that in most cases you won’t pay any daily, monthly or yearly rates for your conference calls. Some companies will let you host hundreds, or thousands, of people on a call at any given time with varying levels of amenities. What’s more, other providers will try to sweeten the deal even further by offering options like screen sharing or multiple dial-in options. This begs the question: How in the world can such companies profit? After all, most lack the network infrastructure needed to even send and receive calls and must therefore partner with telecommunications carriers in order to obtain the necessary hardware to offer conferencing services. Traffic pumping occurs when local carriers partner with third-party Web-based communications providers (i.e. 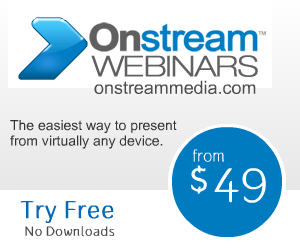 “free” online conferencing services) in order to significantly boost traffic on their networks. In this type of scheme, local carriers provide network access and financial kickbacks in exchange for the influx of thousands of different callers. And who is forced to pay the higher access fees? The responsibility falls back on the long distance carriers. In the end, the FCC explains, the only way for long distance carriers to pay for these enormous fees is to charge higher rates to their customers. Making matters even worse, traffic pumping negatively impacts competition in the telecommunications space as it gives companies offering free conferencing services an unfair advantage over other businesses that would have to charge customers for premium network services. Even if you are willing to look past the seedy underbelly of the free conferencing market in exchange for being spared the cost of paying for your Web conferencing software, remember that utilizing such a service will reflect poorly on your organization as a whole. Traffic pumping has been gaining a lot of negative publicity recently, and your customers may be reluctant about supporting a business that is tied into such a scheme. No customer support: With most leading free conferencing providers, customer support is virtually nonexistent. So if your service cuts out in the middle of a call, or if hundreds of your callers can’t connect onto the conference line, you could run the risk of having no way of solving the problem; and this could look extremely unprofessional. When using a premium conferencing solution like Infinite Conferencing, however, you will have access to first-class customer support that will be ready and waiting to assist should any questions arise. A weak conferencing toolkit: Don’t be falsely wooed by added incentives like being able to record or share calls. These features should be deal breakers, and part of a much longer list of conference-enhancing tools that you have at your disposal. The more features you have in your arsenal, the easier it will be for moderators to control conversations and for end users to communicate with the group—and each other—during meetings. Data storage: Is the company regularly patching its servers for security vulnerabilities? Integrity: Where are your company’s conversations ultimately ending up? Is your data being sold for profit without your consent? A lack of flexibility: A free conferencing service will offer your attendees access to a phone line—and that’s it. There is typically no additional features included in the package, like usage reports or recording. With a service like Infinite Conferencing, however, a moderator can pause a live audio conference, locate a video from the platform’s content library and present it to all of the attendees who are logged in over the browser-based interface. It’s an important touch that could greatly enhance a presentation and is impossible to do over the phone. As these examples show, the difference between investing in a free conferencing provider and a premium conferencing services provider comes down to quality, reliability and security. A company like Infinite is more than just a service; it’s a complete, end-to-end conferencing provider that will guarantee peace of mind during all of your company’s meetings. Infinite provides a fully-customizable, cloud-based service that comes with over 100 features to enhance collaboration and communication between end users. So, before you make the wrong decision and sign up for a free conferencing service, click here to contact Infinite Conferencing.